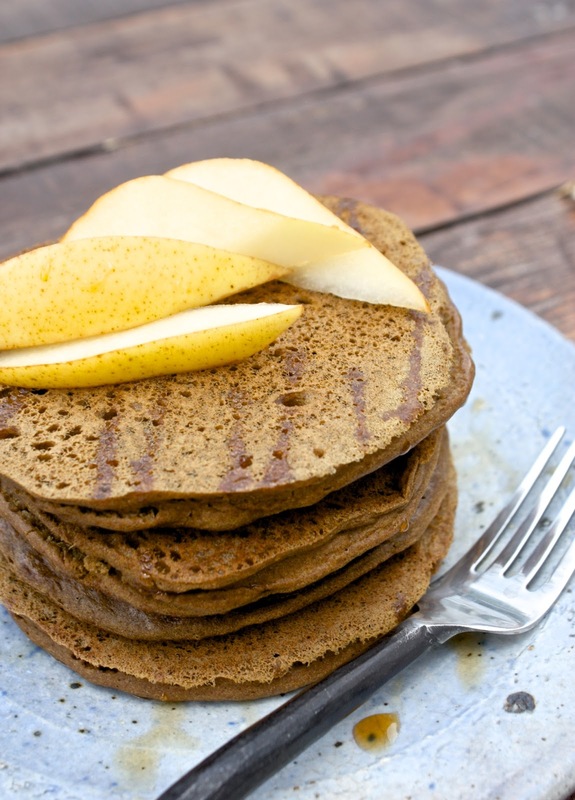 Basic Teff Pancakes. Vegan and oil-free! Okay, if you haven’t already tried the tiny, super-grain known as teff, I urge you to do so… soon! 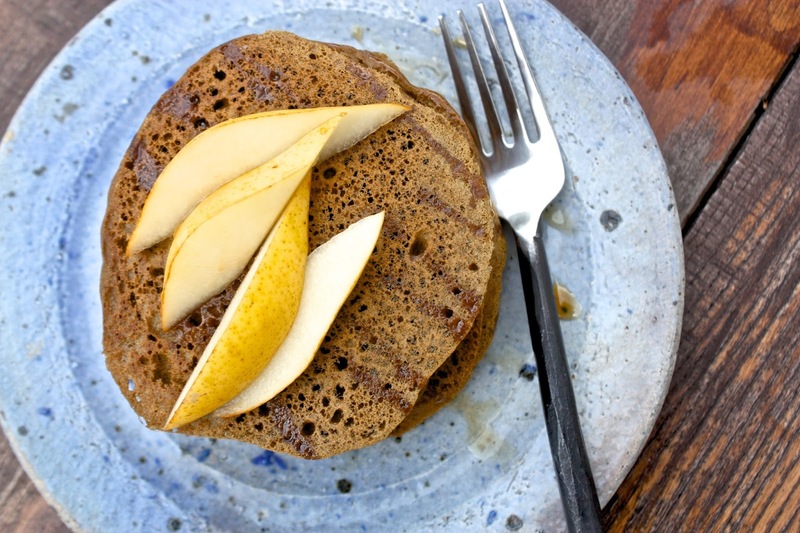 It’s so yummy, amazingly nutritious, gluten-free, and now I have discovered that it’s fabulous for pancakes, too! Before this recipe, I had only cooked with teff in its natural, whole grain form as a breakfast cereal, which to me is very similar in texture to cream of wheat (LOVE!). Now that I see how well the flour performs… watch out! Teff is and will remain a staple in my baking cupboard. These pancakes are light and fluffy, with a slightly nutty taste. Other than the vanilla, I made this first batch as a test, without any added flavors or ingredients, to see how they would be. Feel free to add fruit, nuts, cinnamon… anything you like to the mix! Mix the flax meal with the water and set aside. Add the applesauce, apple cider vinegar (or lemon juice) and vanilla to the milk, stir and set aside. Whisk together the flours, baking soda, baking powder and salt (if using). Add the flax mixture and the milk mixture to the dry ingredients and whisk well to combine. If the batter seems too thick, add a bit more milk. It should be fairly liquid but not runny. Drop the batter by ¼ cupfuls onto a lightly greased or non-stick skillet over medium heat. Flip when the edges are cooked (about 3-4 minutes). Cook for just another minute until set. Makes about 10 pancakes. Enjoy! Can I just put the teff in my vitamix and make flour? I have a whole bag and don't like it as breakfast cereal. These look wonderful Helyn! I will definitely be trying them. 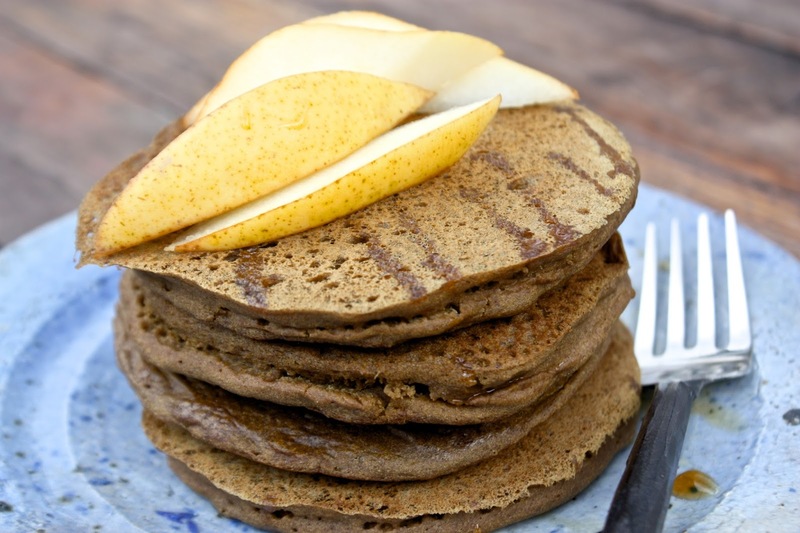 Tiny teff has such a wonderful nutty taste–and that great nutritional profile. Luckily our co-op carries both whole teff in bulk and flour from Bob's Red Mill. Yes. I hope you have a dry blade pitcher. Otherwise, you can probably still do it. Just make sure you don't over-blend. Hi there… you can always use some fresh fruit instead of syrup. Get some sweet blueberries or anything else you like and put them in a blender or food processor until pureed. Hope this helps! I understand about the cheese… 🙁 it's a tough one to give up sometimes. Have you tried any nut-based vegan cheeses? I have a couple of recipes on here. We made these on Saturday and enjoyed them alright, but they were quite dry. The ones that were left over the next day were really dry and difficult to eat. I wonder if the recipe might be better with one cup of applesauce or pumpkin purée. Julie, I think applesauce is a great idea! Funny, I made them for a second time over the weekend and found the same thing. I will experiment and update the recipe when I find something that moistens them more. Let me know if you do, too, okay? Thanks for the feedback!! I really enjoyed these pancakes. 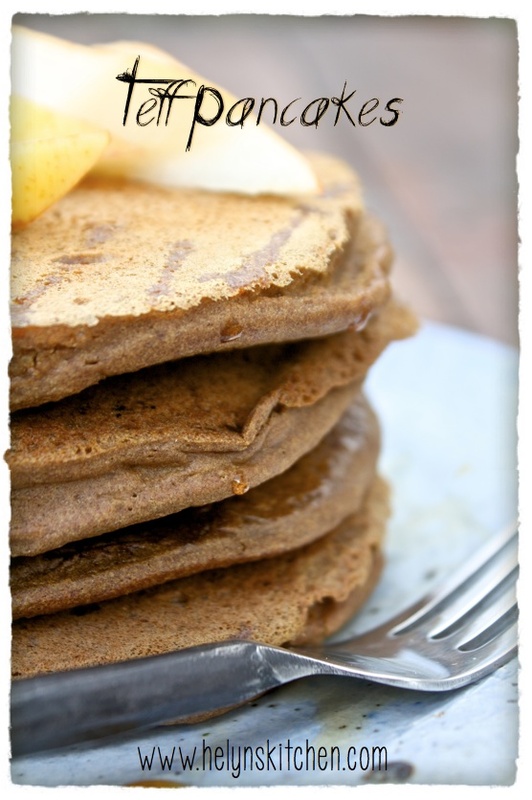 I love using teff, so I hope you keep the recipes coming! !